There is no doubting that Latics have had a disappointing start to the season but some of the comments from fans on the various social media forums do beggar belief. Much of the criticism of the manager’s tactics and players attitude is way wide of the mark. It is fair to say that Latics could easily have had more points on the table if it were not for some crazy mistakes. In every game so far they have been competitive and when they have lost, it was not by more than one goal. Fans pay their money and have the right to express their opinions but some just don’t see the bigger picture. The level of negativity and despondency after only seven games in the Championship is quite shocking. 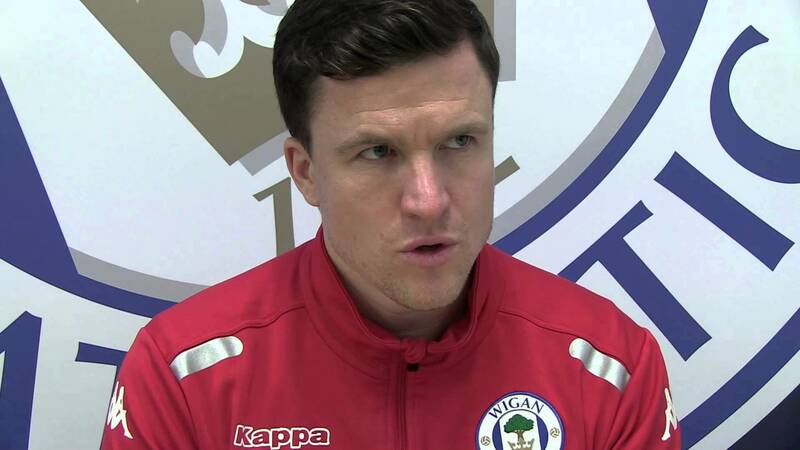 Calls for Gary Caldwell to be sacked and to say that the team is not good enough are very premature. Latics comfortably won the League One title last season under the guidance of Caldwell and there was always going to be a transition period as the manager and team adjust to the step up in quality in the Championship. With 14 new signings, injuries and suspensions it was inevitable that it would take time for the team to come together. The team has not been outplayed in any of their games so far this season and in the last two away games they have faced likely promotion contenders Sheffield Wednesday and Norwich City. I’m sure that no one at the club is shirking the responsibility for the results, but everyone should be aware that they have been beaten by two of the top teams in the Championship. At Hillsborough they acquitted themselves well against the team that lost in the play-off final last season and at Carrow Road against a Premier League quality squad they could easily have secured a point after they produced a stirring second half fight-back. On Tuesday night Latics had 57% possession and had 13 goal attempts to Norwich’s 16. Despite the negativity from some fans there are plenty of positive signs that results will improve. The return of captain Craig Morgan and last season’s player of the year David Perkins can only give the team a boost. The performance of the returning Jordi Gomez at Norwich showed what an important player he can be for the club. The Spaniard was at the centre of Latics’ best moves, scored a great goal and was so near to getting an important equaliser. There are also indications that the new players are starting to settle and if they can eradicate the silly defensive mistakes then the club can move forward. This team is still in development and the fans need to show patience. The Championship has consistently shown that any club is capable of beating another. The margin between success and failure is now extremely tight. The fans that vent their anger at Caldwell’s team really ought to take a step back, understand that this is a new group of players in a higher division and support them rather than constantly berating them. This article was first published in the 12th Man column for the Wigan Evening Post on Friday 16th September 2016. This entry was posted in Championship, Gary Caldwell, Jordi Gomez, Norwich City, Sheffield Wednesday, Wigan Athletic and tagged Championship, Gary Caldwell, Jordi Gomez, Norwich City, Sheffield Wednesday, Wigan Athletic. Bookmark the permalink.